After releasing a string of singles and a breathtaking film clip for 'Open Up' which was described by Rolling Stone as "soul-barring" Sydney four piece Caravana Sun are now laying their cards on the table with the release of their 3rd studio album Guerrilla Club. Premiered via Rhythms Magazine yesterday the album was described as "an album full of otherworldly imagery and highly evolved instrumentation" and is set to engulf listeners with it's seamless mix of world fuelled rebellious surf rock. It's been quite the journey from conception to elevation for Caravana Sun with the band playing over 500 shows all over the world in the last five years. Now back on home soil and preparing for a massive 22 date national tour the band are living and breathing what Guerrilla Club is all about; their love for Australia and its culture. Not content with just being a celebration of all things Australiana, the Sydneysiders brought in some serious Aussie heavyweights to help bring Guerrilla Club to life. Recorded at Wasteland Studios in WA, Eskimo Joe guitarist Joel Quatermain was enlisted to draw out the record's hidden sounds. 'Joel worked us hard and encouraged us to develop more of a groove based record rather than trying to directly represent our live sound.' Says Carra 'It resulted in the most contemporary sounding record we have made but it still delves through retrospective angles'. 27 days locked in a studio later and Caravana Sun emerged with a polished piece of art and are ready to bing Guerrilla Club and their explosive live show to the places that inspired it. 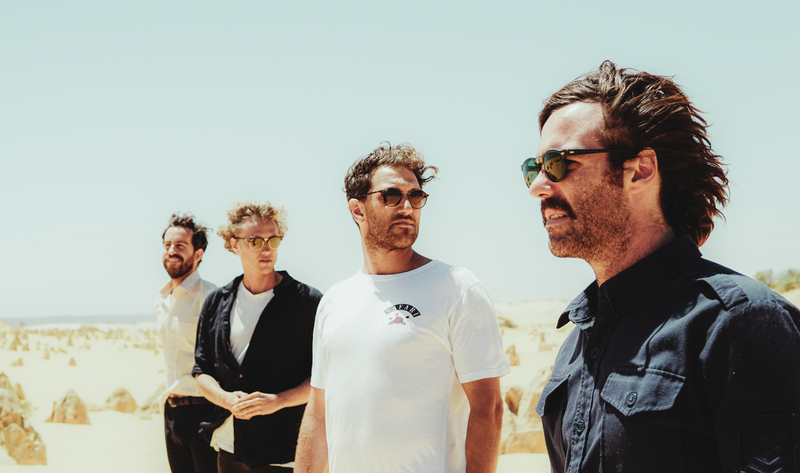 The bands massive twenty-two date national tour kicks off in Brisbane for a surprise duo set during BIGSOUND and sees Caravana Sun hitting everywhere from Collingwood to Yallingup on their quest of musical exploration.